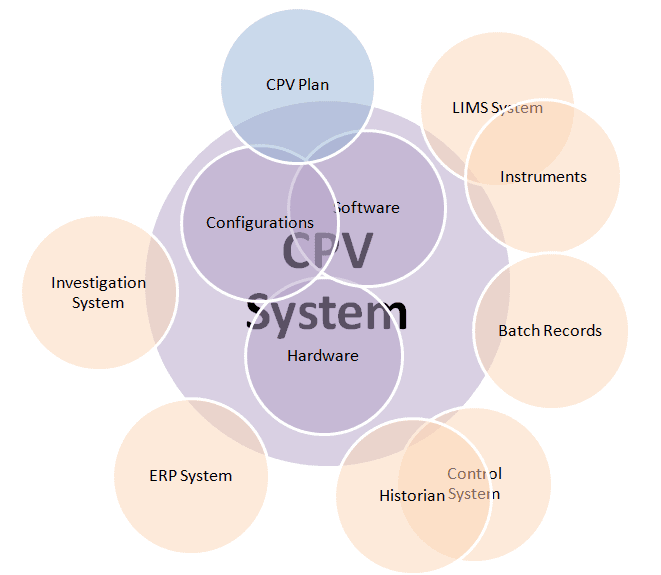 The BioPhorum Continued Process Verification (CPV) and Informatics team has published a paper to support a risk-based approach for the validation of informatics systems for CPV (known as CPV-I), which enables their efficient and effective implementation. What needs to be validated and to what level? How should risk-based decision-making be applied to a CPV-I system? Fundamentally, how do we ensure data integrity? When in the product lifecycle, should a system be ready for operation in the validated state? that some elements of the system will be the subject of frequent change? “Primarily, the paper provides guidance on good practice in line with ISPE’s Good Automation Manufacturing Practice documentation,” says Robin Payne, BioPhorum Facilitator of the CPV-I team. The paper draws on the experiences of more than 20 biopharmaceutical manufacturers when validating the informatics elements of their CPV programs. The figure shows these overlapping elements (including the central components of hardware, software and configurations) and the links to other systems from which data can be aggregated for analysis and reporting. It also emphasizes the importance of cross-functional engagement and an agreed definition of the scope and intended uses of the CPV-I solution before design and testing. To this end, it includes a requirements specification template to help define user requirements, which can be used to assess system capabilities when evaluating commercial-off-the-shelf solutions. The Continued Process Verification and the Validation of Informatics Systems paper can be found for download below.